Today is Liam’s last day of 4 year old kindergarten and we’re excited for summer! You see, this is an exciting month for our Liam. He is not only stoked about summer and moving onto 5 year old kindergarten, but he’s turning 5 at the end of the month! We’ve got a lot to celebrate around here. 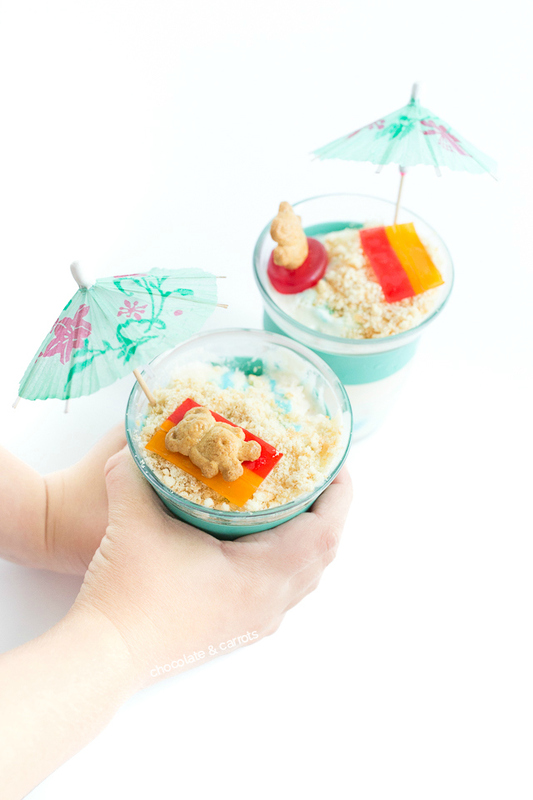 I couldn’t think of a better way to celebrate the beginning of another wonderful summer than with a beach inspired ice cream treat! 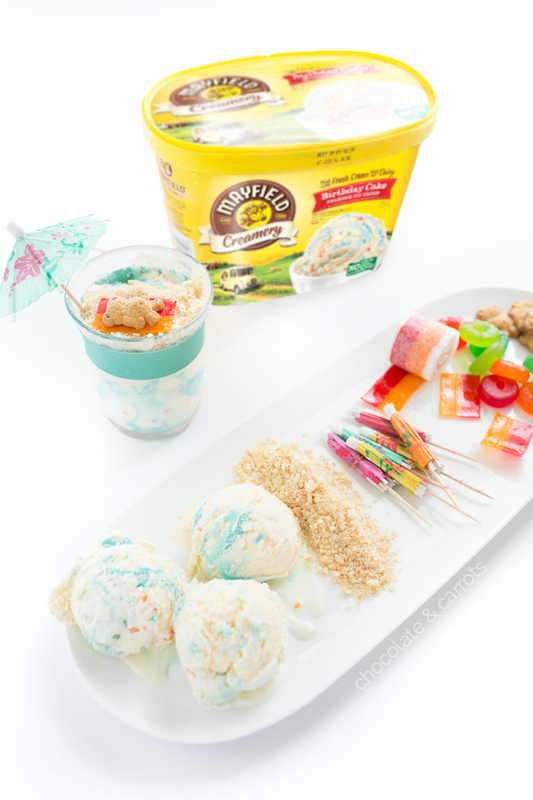 Mayfield Creamery has a delicious birthday cake ice cream that works beautifully in combining the look of sand and water (and, hey…the sprinkles can be the little fish and seashells!). To top it off, Mayfield ice cream also uses fresh cream from their own dairy with no artificial growth hormones. My kind of ice cream! 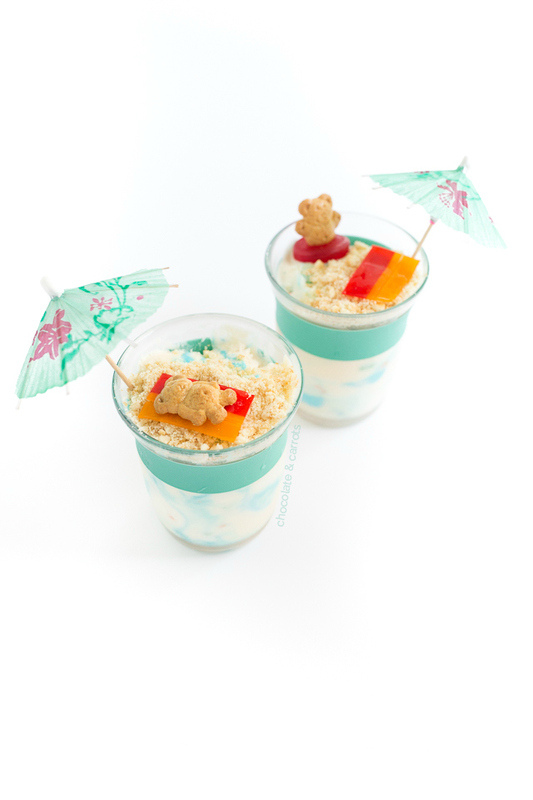 You only need a few ingredients to make this frozen treat a reality! It’s quite easy to make ahead of time, too. 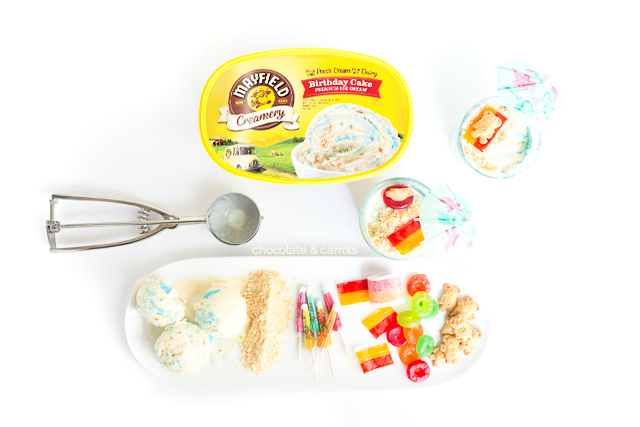 Fill clear cups with Mayfield Creamery Birthday Cake ice cream. Crush the vanilla cookies and sprinkle them on the top of the ice cream. 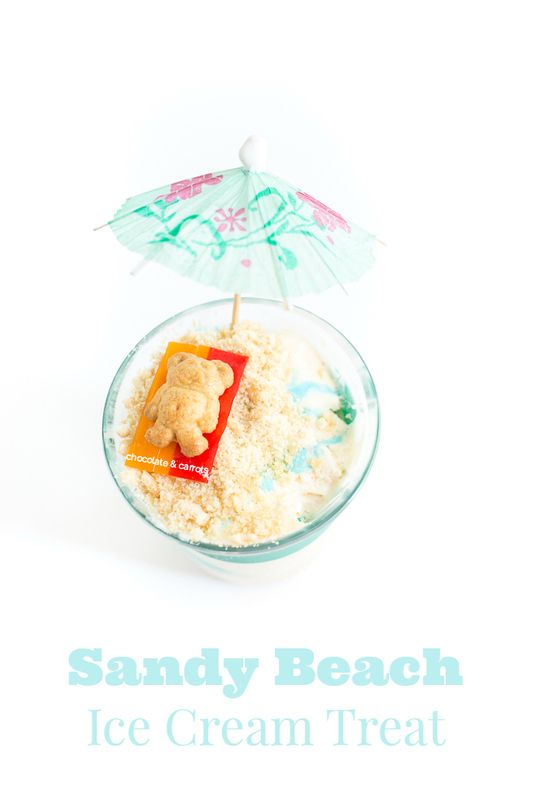 Decorate your beach scene with the beach towels, inner tubes, teddy bears and umbrellas! 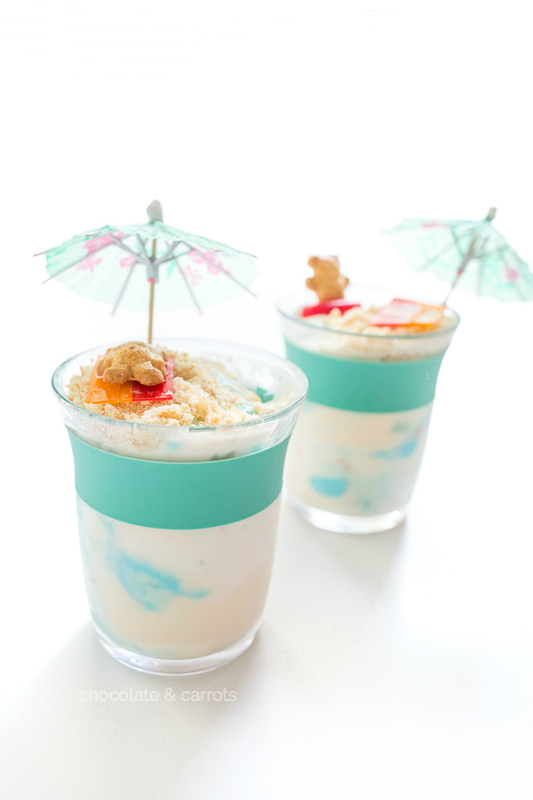 To Make Ahead of Time Fill your cups with the ice cream and ‘sand’. 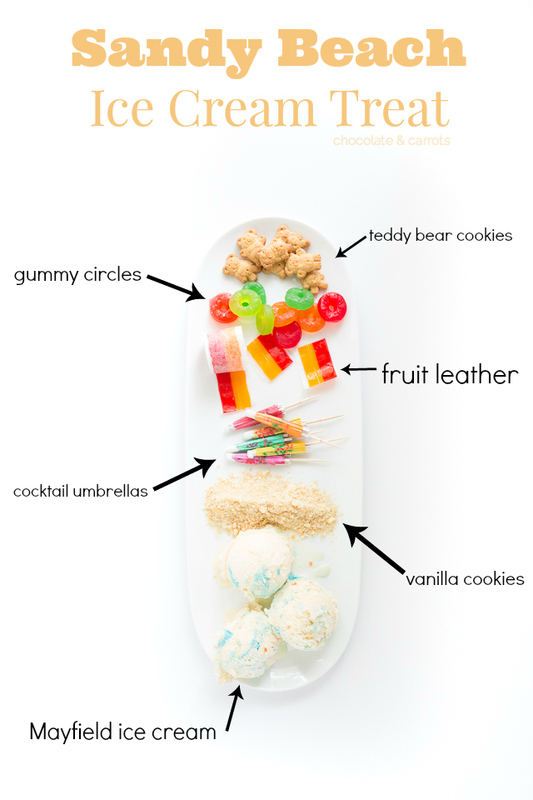 Decorate with the candy right before serving. For those of you not in the South and Southwest, Mayfield Creamery is an ice cream company who has become a beloved family tradition having been around since 1923. Since I was born and raised here in South Carolina, I’ve always known and loved Mayfield’s ice cream. For those of you here in the South Carolina, you can find Mayfield ice cream at Publix, Bi-Lo and Kroger. Woot!